The best alternative of OBS to record and edit game video. The recent surge in popularity of posting video game footage to platforms such as YouTube has seen a demand for being able to quickly and easily record players high scores and best in-game play. As well as bragging rights and the ability to share your latest gaming accomplishments with your friends and the wider world, there are more and more people looking to monetize their footage that they put on their YouTube channels. Many gamers claim to regularly make anywhere between $600-$1,000 per month solely from their video game footage that they record and post online. So, not only is posting video game footage online becoming more and more popular, it is also profitable if done correctly! What is the best way of recording my video game footage so that I can post it online? To make high-quality recordings of your video gameplay, you're going to be needing Open broadcaster software (also known as OBS), which has the capabilities to record the fast-paced action that video games provide. After loading up the software quickly click on settings, and make any changes to the language that you have to, and also ensure that you have checked off the 'enable cursor over projector' option. 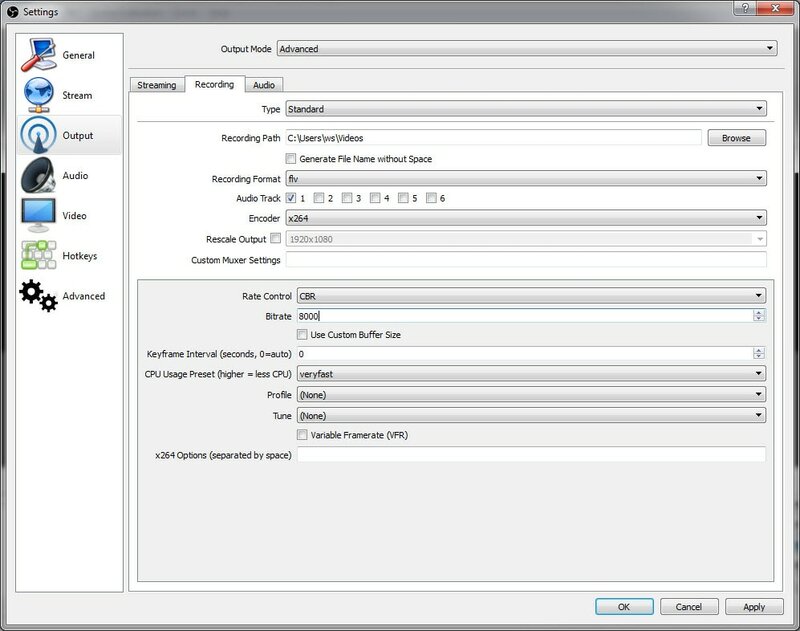 Make sure the encoder is set to x264, check the 'use CBR' option, set quality balance to 10 and maximum bitrate to 8000. The broadcast settings are essential, as it is in this section where you can decide between either recording your screen or live streaming. Most of the options are pretty self-explanatory, but we've covered the important points above, so by this point, you should be good to go! Back on the home screen, you're going to add some video, so right click then choose the 'add scene' option, followed by a title for your video. Next up you're looking to click on 'preview stream', which brings up a black screen. Right-Click on the source section and choose 'game capture', which will provide you with an option for selecting your application/game. At this point, you're going to want to start recording by clicking the 'stop preview' button and hit the 'start recording' option. Once you're finished, you simply hit the 'stop recording' option, and you're ready to begin the editing process! Filmora scrn is one of the leading software options for those who wish to record fast-paced games footage on both Mac or Windows. Providing users with a healthy range of between 15-120FPS, a full editing suite with effect tools such as cursor customization and annotation, and the ability to record from both your screen and webcam simultaneously, Filmora Scrn pretty much has your game play recording needs covered. Formats available for saving your files include MP4, MOV & GIF. Followed by your choice of game, set up your frame rate requirements, and then hit the capture option. It really is that easy. At the moment the Filmora Scrn software supports games such as Minecraft, League of Legend, Overwatch, Dota, and CS Go. The full editing suite provides users with a vast range of professional tools, allowing you to completely personalize your captured footage and set yourself apart from the competition!